There was a realization that came to me when I was young and only just starting my journey towards God subhanahu wa ta`ala (exalted is He). It may seem obvious to some, but this one realization changed my outlook and relationship with those around me for the better. On one day, I was very frustrated. I wanted someone to talk to. Actually, I felt like Ineeded someone to talk to. None of my friends were answering their phones, and my family seemed distracted at home. I was starting to feel irritated. And then it hit me: people cannot be there for you all the time. This is not because people are bad. Actually, I believe that most people are good. But all people have their own needs. And because we all have needs, we necessarily all have limits. A person may want to be there for you, but sometimes they just cannot. Sometimes, they are dealing with their own issues. Sometimes they are juggling too many things for you to be their sole focus. Sometimes they may not know how to help. 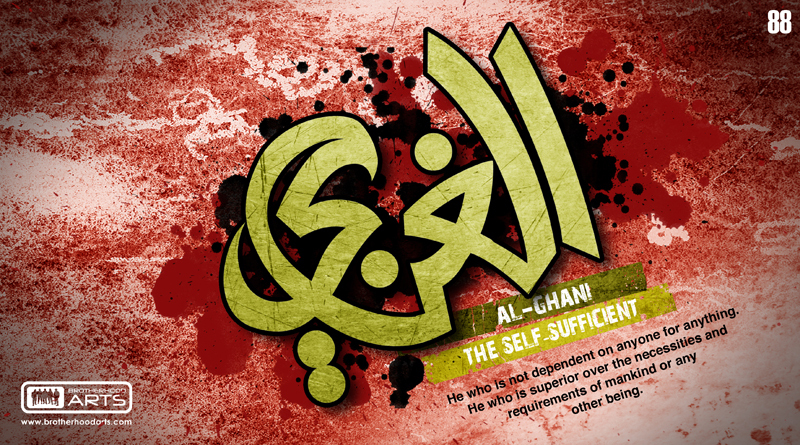 Not Allah (swt). He is al-Ghani. He is Needless. He is Rich. He is Self-Sufficient. And so, He is Limitless. And this may be our ultimate problem. We do not realize that we need Him, or how much we need Him. And so we attempt to fill that void with things that were never meant to fill it. He knew that he was impoverished before Allah (swt), even when he had helped someone else in need. This is why Allah (swt) forgives over and over, because our sins do not harm Him, but they harm us. And this is why He accepts even the smallest of deeds, because how big or small they are does not affect Him positively or negatively. The deeds help us. And Allah (swt) can give us anything and everything because He does not need any of it. Ultimately, we are the ones in need. And so we take our needs to the only One who has none. The realization I spoke about above helped me in my relationship with others. It may seem counterintuitive; how can the realization that people cannot be there for you improve your relationship with them? Because with this realization, we cease to project our unrealistic expectations onto them, and therefore prevent ourselves from being disappointed as a result of those failed expectations. God (swt) gave us people as gifts, but they were not meant to fulfill every need. So when we find that those we love cannot give us something, it is time to direct that need to al-Ghani Himself, and be forgiving and understanding of their situation. This will enhance your worship. When we understand that, for example, prayer is to fulfill a certain need of our soul, we can make more of a conscious effort to improve and beautify our prayer, and use it to connect to the Most High. Moreover, our du`a’ (supplication) also has more meaning when we realize that we are the ones truly in need. 2—Understand that people have needs, because only He is free of needs. This will ensure that your ultimate dependency is not on people, and that you will not have unrealistic expectations. When we feel that others have let us down, we can direct ourselves to the One who has no needs.